Souq.com is an UAE based e-commerce website, often described as the Amazon of the Middle East. It is the largest e-commerce platform in the Arab world. Souq.com attracts over 24 million unique visits per month and is fast growing as more consumers shop online in the Arab world. Souq.com connect people and products – opening up a world of possibility. From bracelets and backpacks to tablets and toy cars – they give you access to everything you need and want. Their range is unparalleled, and the prices unbeatable. The site currently delivers to the United Arab Emirates, Saudi Arabia, Kuwait, Egypt, Bahrain, Oman, and Qatar. It has semi-automated modern fulfillment centers in the United Arab Emirates, Saudi Arabia, Kuwait, and Egypt, measuring a total of 35,000 square meters. The company currently employs around 2,500 employees in engineering, retail, customer support, fulfillment and last mile delivery sections . 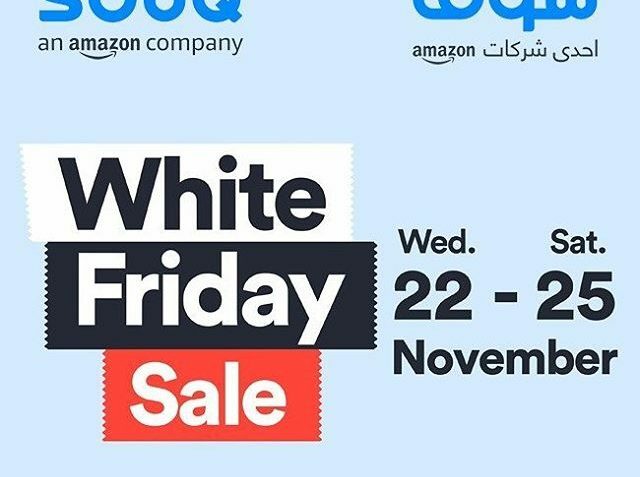 Souq.com has launched Amazon Global Store, which allows customers in the UAE to choose from over one million products from US-based Amazon.com and pay in Dirhams. Categories include apparel, handbags, shoes, watches, … see more..
Running from the 22 to 25 November, 2017, Souq.com has revealed that it will be offering 500,000 deals on 16,000 brands for consumers based in the GCC and Egypt. Now in its … see more.. Spend a minimum of AED 1000 or more with your HSBC Credit Card and repay in 3 or 6 equal monthly installments at 0% interest rate with Flexi Instalment Plan. Enjoy 0% Easy Payment Plans for 3, 6, 9 or 12 months on a minimum purchase of AED 1,000 and above. Offer Shop on souq.com for AED 1,000 and above and pay back … see more..
Pay Week Sale is Here on Souq.com. Shop your favorite deals at up to 50% off on TV’s. Mobiles, Garments, Appliances and much more. Get extra AED 60* off with Noor Bank … see more..